spiced black rice vinegar | Life's Conundrum - Eat to Live or Live to Eat? 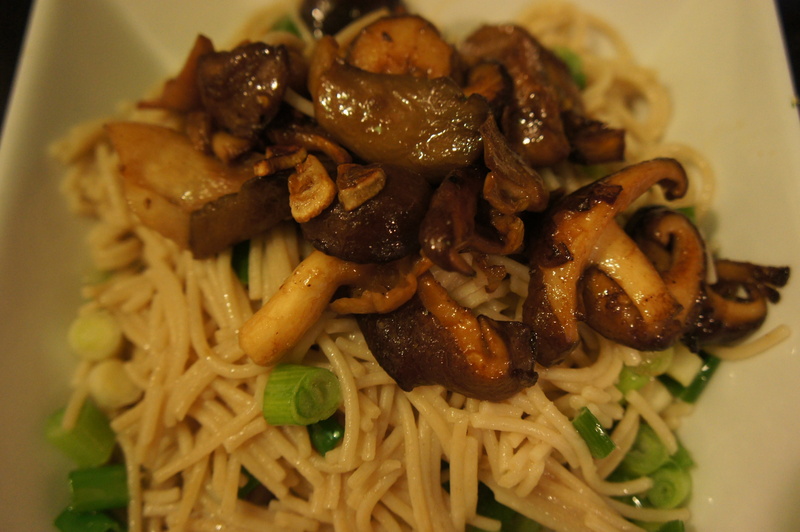 If you love mushrooms like we do, then here’s simple recipe to add to your repertoire. It can be pulled together relatively quickly if you are pressed for time. Heat a large pan and add the oil to it. 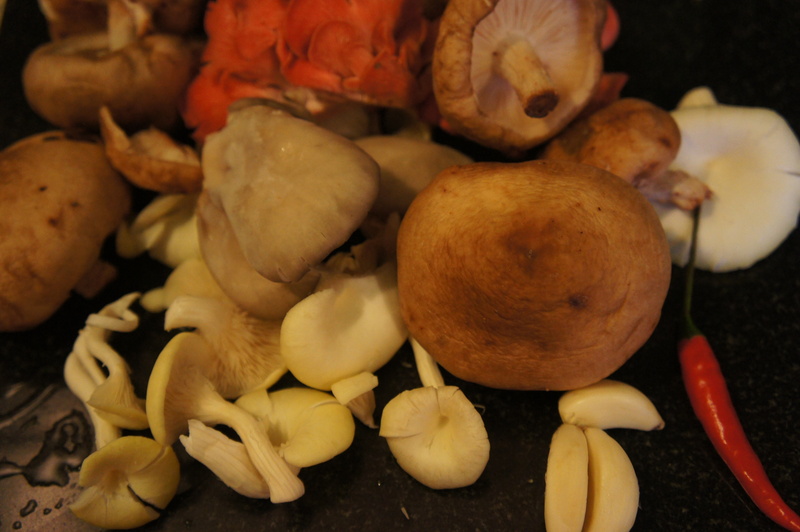 Toss in the garlic and chopped red chilli and saute for a few minutes before adding the mushrooms. 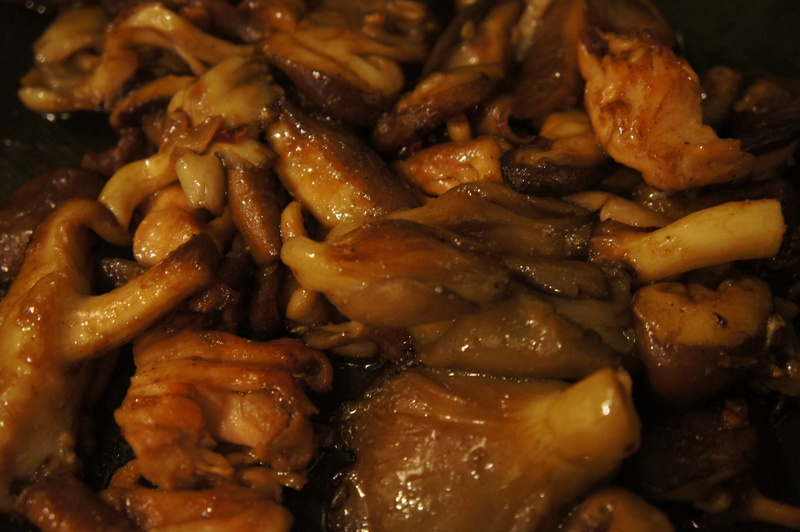 Cook over medium heat for 10 minutes and then add the soya sauce, vinegar and wine. Give it a good mix and switch off the heat. Adjust seasoning and serve on a bed of noodles (we added some toasted sesame seed oil and chopped spring onion to the noodles). Tonight was a journey into the unknown as we prepared a Vietnamese inspired summer roll for dinner. The dish is a blend of South East Asian flavours (primarily Chinese) wrapped in a rice paper roll. We came across the rice paper on one of our shopping trips to Wing Yip (a large Oriental supermarket in Croydon) and finally got to use it tonight. We are hooked and will experiment a bit more with different fillings – we think once you have tried Vietnamese style rolls you will reconsider traditional fried spring rolls. 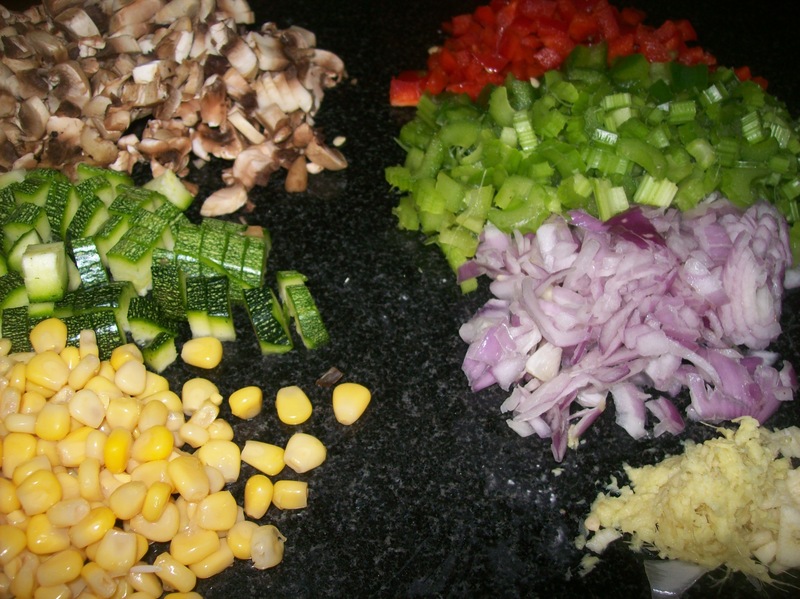 Chop all the ingredients into even sized pieces. Heat oil in a pan and add the ginger, garlic and crushed red chillies. Stir fry for 30 seconds before adding the peppers, onions and celery. 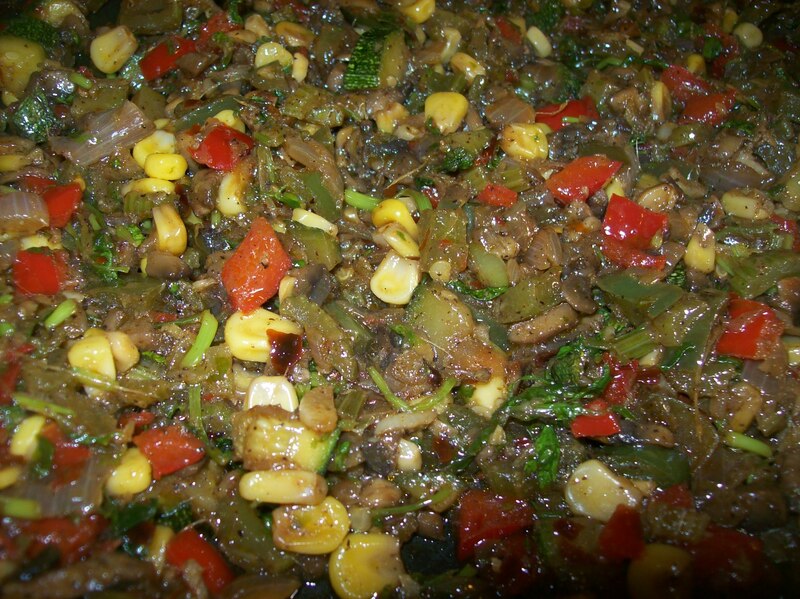 Cook for 5 minutes before adding the remaining vegetables. Cook till done and then add the soy sauce, rice vinegars, rice wine and toasted sesame oil. 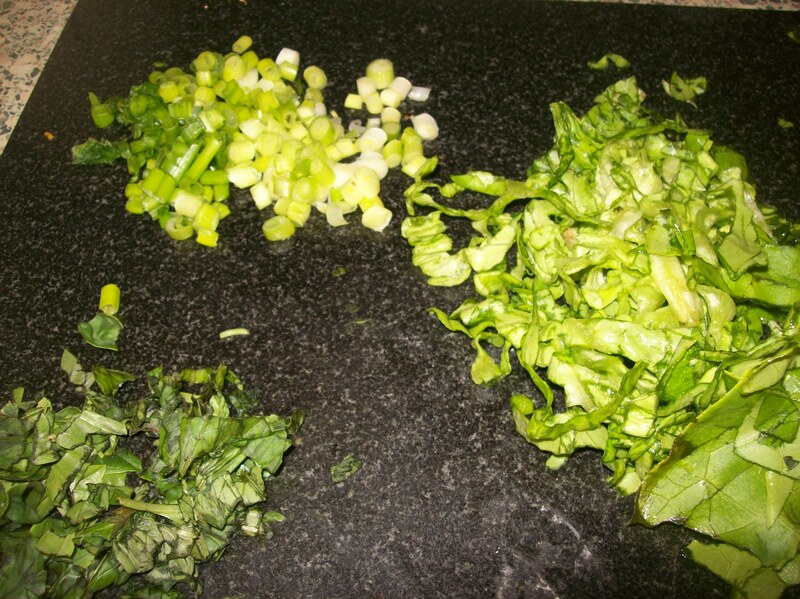 Adjust the seasoning and then add the chopped coriander. Switch off the heat and keep mixture aside. Soak the rice paper in warm water for a couple of seconds and once soft layer with lettuce, a pinch of the basil, spring onion and a tablespoon and a half of the cooked mixture. 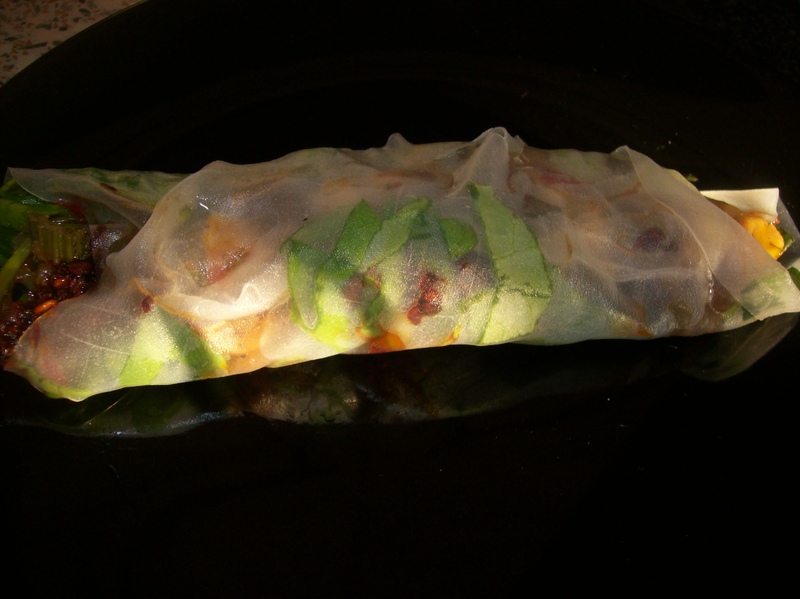 Drizzle a little Thai sweet chilli sauce and Chinese red chilli sauce – wrap – enjoy.